Ray Kurzweil, a prolific inventor who is best known for his prediction that machine intelligence will surpass that of humans around 2045, still has a few things to offer carbon-based life forms. Kurzweil has introduced new e-reader software, called Blio, that approaches e-reading from a completely different angle than the current E Ink-based devices like the Amazon Kindle, Barnes & Noble Nook and Sony Reader. Blio is not a device. Rather, it is a “platform” that could run on any device, but would be most obviously at home on a tablet. The software is free and available currently for PCs, iPod Touch and iPhone. Blio is set to debut at the Consumer Electronics Show in Las Vegas next week. E-readers have become a hot consumer electronics product. 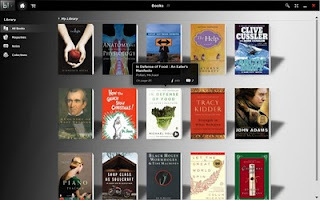 About 5 million e-reader devices are expected to be sold by the end of the year. Meanwhile, electronic books for the Kindle outsold physical books on Amazon for the first time this Christmas, said Amazon, one of the largest online book retailers. Kurzweil — who is better known for his 2005 book The Singularity Is Near — has worked extensively in areas such as optical character recognition, speech recognition and text-to-speech synthesis. His company Kurzweil Technologies has a joint venture with the National Federation of the Blind called knfb Reading Technology to create reading products for people with disabilities. knfb Reading is the company that has created Blio.